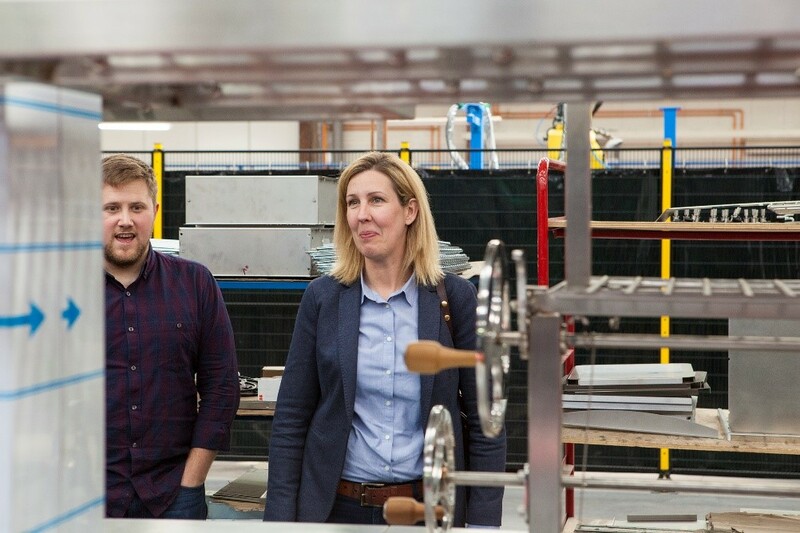 Britain’s highest-achieving female chef has chosen a Charvet bespoke cooking suite for the opening of her first solo restaurant, after almost a decade heading the kitchen at Gordon Ramsay’s flagship. Clare Smyth, MBE is the first British woman to win and retain three Michelin stars, during her reign as chef patron at Restaurant Gordon Ramsay in Chelsea’s Royal Hospital Road. The new site in Notting Hill will open later this summer, following an extensive renovation, which will include the creation of an ‘open view’ kitchen including a glass screen, behind which will sit the three-metre long Charvet suite. Clare Smyth is pictured previewing the suite – now in the final stages of construction – at the Charvet factory in Charavines, near Lyons, France. She was accompanied by Head Chef Jonny Bone (who will work alongside Clare at the new restaurant), Charvet Sales Development Manager Gary Allen and Charvet UK MD Wayne Cuomo. 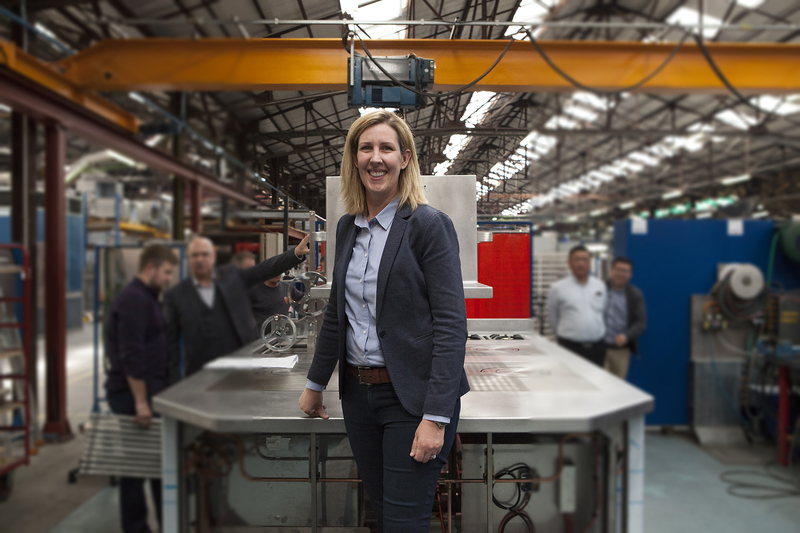 “This is a ‘proper’ solid cooking range”, said Clare Smyth. “Charvet is one of only a few manufacturers capable of producing a range of this quality and solidity”.